Apollo Hospitals, Mumbai - Mumbai, India | Costs, Consultation, Treatments, Doctors. Apollo Hospitals, Navi Mumbai is one of the most advanced Multi-Speciality Tertiary Care hospitals in Maharashtra. The hospital offers comprehensive and integrated super speciality services under one roof. Apollo Hospitals at Navi Mumbai has put together a team of renowned expert consultants to provide people easy accessibility to advanced technologies for precise diagnosis and treatment. The facility is accredited by Joint Commission International (JCI). 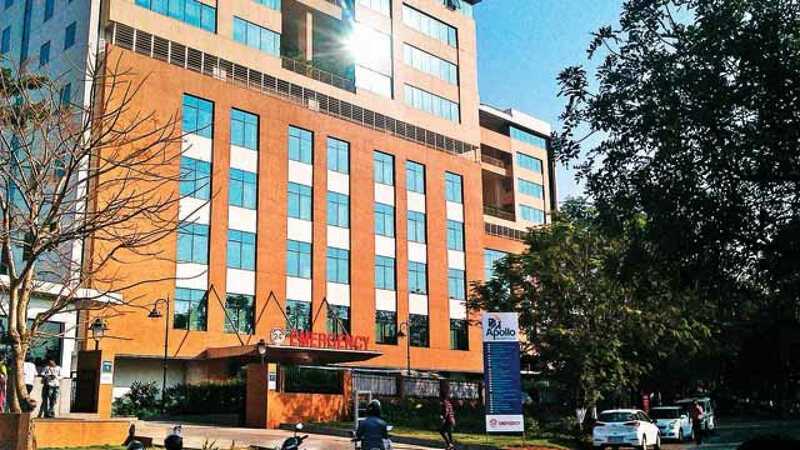 It is a 500 bedded facility and has access to world-class technologies, 13 state-of-the-operation theatres, advanced laboratory and medical diagnostics and 120 ultra-modern I.C.U. beds including N.I.C.U. & P.I.C.U. manned round the clock by critical care specialists. More than 31 years of experience in the field of Cardiac Sciences. Certified for the Completion of Specialist Training (Cardiology) from the Royal College of Physicians, London. Was appointed as Consultant Cardiologist at Queen Mary's Hospital, Sid cup hospital and St Thomas' Hospital, London. Heart & Lung Transplant Surgeon at Apollo Hospitals,Navi Mumbai. MBBS, MS, DNB is Consultant Orthopaedic Surgeon at Apollo Hospitals, Navi Mumbai. He is one of the most experienced Joint Replacement and Trauma surgeon in the country, and comes with more than 28 years of experience. Holds surgical training experience from USA, Germany, United Kingdom, Japan, Taiwan & Bangladesh. Special interest lies in complex Trauma, Hip, Pelvis and Acetabular surgeries. M.S (Ortho), FASIF (Austria) is a Consultant, Orthopaedics & Joint Replacement Surgeon at Apollo Hospitals, Navi Mumbai. He comes with more than 18 years of experience in Orthopaedics & Joint Replacement Surgery. He is one of the most experienced Hepato Pancreato Biliary and Transplant surgeons in the UK, having been involved with complex liver, pancreas, bile duct and transplantation surgery since 1986. He was appointed Consultant HPB and Transplant Surgeon in 1996 and has worked for almost 25 years at the leading Liver and HPB Unit in Europe, a centre that has performed almost 5000 liver transplants, 2500 liver resections and 1400 pancreatic resections in adults and children. MBBS, MD, DNB (Radiotherapy), is a Director, Radiation Oncology at Apollo Hospitals, Navi Mumbai. Special interest lies in Gynecological, Genitourinary and Gastrointestinal cancers, brachytherapy and advanced technology e.g. IMRT / IGRT, Indigenous Technology Development with DAE and SAMEER in the field of Oncology. MBBS, MD (Radiation Oncology) is a Consultant, Radiation Oncology at Apollo Hospitals, Navi Mumbai. More than 15 years of experience in Radiation Oncology and has been extensively trained at Tata Memorial Hospital. MS, FRCS(Ed), FRCS(Gen) is a Consultant Bariatric and Upper GI Surgeon at Apollo Hospitals, Navi Mumbai. He is one of the most experienced Bariatric surgeons in the UK, having set up the Bariatric Surgical Unit in Luton, UK in 2001. The unit has performed more than 3500 Bariatric procedures and he has performed more than 1500 Bariatric procedures. MS (Gen Surgery), MCh (Neurosurgery), is a Consultant Neurosurgeon at Apollo Hospitals, Navi Mumbai. Holds, World Federation of Neurosurgery (WFNS) supported, fellowship in ‘Advanced Microvascular & Endoscopic Neurosurgery’ from Fujita Health University, Japan. He has more than 12 years of experience in Neurosurgery. His areas of special interest lie in surgical management of Brain Tumors, cerebrovascular pathology and spinal disorders with both microscopic & minimally invasive endoscopic approaches (keyhole and suture-less neurosurgery). MBBS, MD, DNB is a Consultant Nephrologist at Apollo Hospitals, Navi Mumbai. He holds more than 10 years of experience in the field of Nephrology. Over the years, he has acquired expertise and trained extensively in the field of Hypertension, Renal transplant and Home Dialysis in Canada.